Whether you were watching for the commercials, the halftime show or simply the football game, Super Bowl XLVII gave its viewers a night to remember. 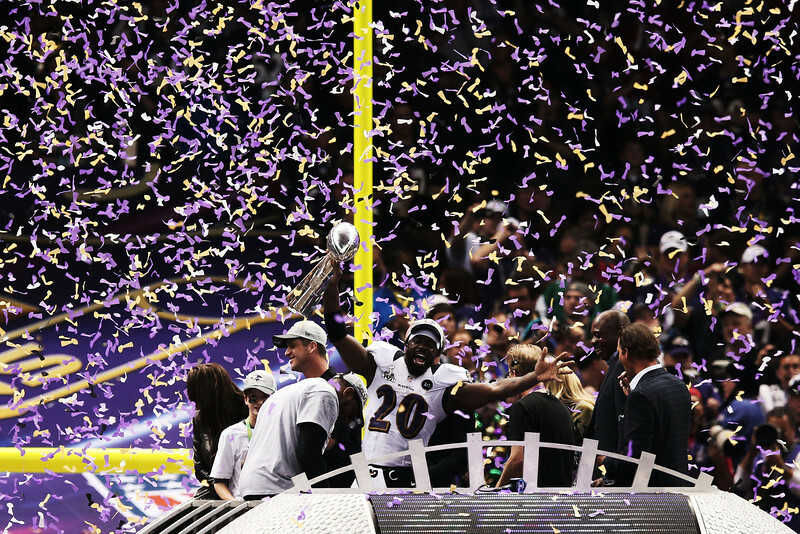 The Baltimore Ravens didn’t allow the San Francisco 49ers to have a second straight double-digit second half come back as they claimed a riveting 34-31 victory at the Superdome to collect their second championship this millennium. Now that the dust has settled and everyone has recovered from the dreaded day of work after, what are the top 10 things to take away from this sporting event? Bazooka Joe just shot himself up to elite status faster than Tony Romo moves in and out of this group. Prior to this season, NFL guru John Clayton listed Flacco as the 13th best starting quarterback in the league – one spot away from being ranked in the “Chad Pennington Division.” That’s bad. But Sunday night, in a game in which his defense gave up a whopping 468 total yards, Flacco completed 22 of his 33 passes while throwing for three touchdowns. 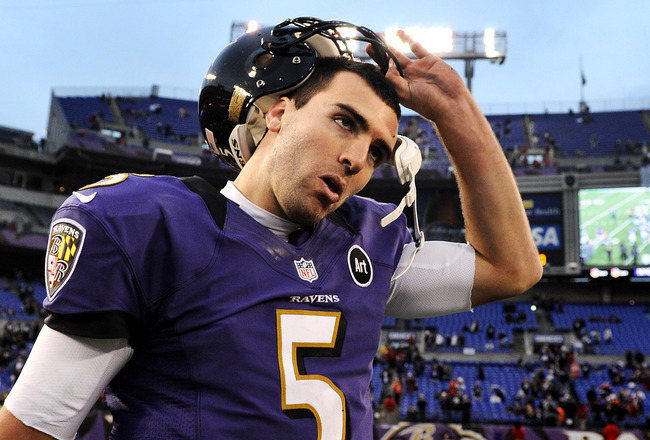 To add to his newly found greatness, Flacco went through the entire postseason with 11 touchdowns and no interceptions. Only Hall of Fame QB Joe Montana had that many touchdowns without any interceptions in the playoffs. It’s time to give credit where credit is due. I don’t know if it’s just me, but I feel as though the bar has been raised too high for Super Bowl commercials. It has gotten to the point where there are now expectations that maybe one or two commercials are able to reach each year. The rest? Overhyped. It is as if companies try so hard to be the “clever” or “different” one that the audience reacts by scratching their head or thinking about a commercial they saw last week that should have been used for this event. Just as RGIII captured the hearts of NFL fans across the nation at the beginning of the season, Kaepernick did the same, only on a bigger stage and during a playoff run to the Super Bowl. Oh yeah, and he’s better. Even though Flacco is the quarterback that has the rep of having a big arm, Kaepernick’s average of 10.8 yards per pass showed off his powerful arm and his powerful impact on this team. Even though Alex Smith did a efficient job at the QB position, Kaepernick brings electricity to the field. However, he’s not simply a showman; he’s a winner. And he has the resolve of a veteran leader, coming back time and time again from any deficit. This kid has “it” as ESPN likes to say and should now be considered the best of the plethora of young quarterbacks that are the future of this league. This Baltimore-area furniture store probably has many members that were ecstatic to see their team win the Super Bowl. Yet, I believe it may be a bittersweet ecstatic. Because Jacoby Jones returned the opening of the second-half kickoff for a touchdown, the store’s manager will give away $600,000 worth of furniture due to a pre-game “promotion” if you can call it that. Now, anything that was sold from January 31 to February 3 is free. FREE. Even though everything being said from this company is related to how they’re so happy, I bet the customers from last week may be a little happier than the $600,000-less furniture store. Talk about #winning. The San Fransisco Giants won the World Series. The Stanford Cardinal won the Rose Bowl. 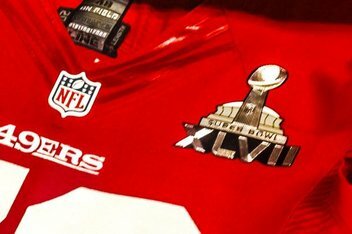 The 49ers just went to the Super Bowl. And in the near future, the sprouting Golden State Warriors, who have extremely loyal fans, plan to move across the bay and play in none other than San Francisco. Watch out Boston, Los Angeles and New York, there’s a new place to bandwagon. Now, I know most of you are not reading this to get your daily dose of pop culture. But I would just like to say that Beyoncé finally put on a halftime show worth watching. For those that critiqued her for lip-synching at the Presidential Inauguration, Beyoncé’s heavy breathing that went along with her powerful singing and perfectly choreographed dancing showed her showmanship that few can replicate. She is truly an entertainer. Crabtree collected 109 receiving yards, but only 24 of them came in the 4th quarter and those came on a single catch. He was targeted on the 49ers final three possessions, catching none of those passes. On the last attempt on fourth down, if Crabtree had not initiated the contact with Ravens cornerback Jimmy Smith, he might have had a chance to go up and grab the game-winning touchdown. In the next five years, we will see another Super Bowl matchup between the 49ers and Ravens. Why? Jim and John. These two Harbaugh brothers have shown that this league is different than the NBA and values coaches just as much as superstars. Neither of these teams would have been able to make it to the Super Bowl without their head coach. The Harbaughs have a gift to coach football at the highest level and perform at the highest level. They simply find a way to win. Jim is the third NFL coach since the 1970 merger to take his team to division titles in his first two seasons and the fifth to record two straight 10-win seasons after a losing record the previous season. John is the only coach to take his team to three straight conference games in his first five seasons and to win a playoff game in this same time period. I’d say these brothers may have to plan for a few more awkward dinners in the future. Even though Superdome officials were worried about a power outage before the game even started, it is still unknown what caused the 34-minute blackout at the stadium. Did San Francisco do this in order to shift the momentum of the game? Was there too much demand for power? Did Gregg Williams put a bounty on these lights? Was Beyoncé too electrifying? Did Bane secretly sneak into New Orleans? Now that his NFL career has come to a close, what will be Ray Lewis’ lasting image? To be honest, I have no idea. This man has had a life nothing short of bizarre. Some will never be able to forgive and forget about the fact that he may be a cold-blooded murderer that paid a family millions of dollars in order to keep himself out of prison. Some solely focus on his forceful play on the field and the fact that he provided the Ravens with some of the best leadership a sports team could ask for. Some will question whether or not he took illegal substances to cheat the system and become unnaturally bigger and stronger than his competition. Some look at the change he has made since his alleged double murder and how he has begun to follow Christ and give all the glory to him. Some see a champion. However you may look at him, there is no doubt a void will be left in the NFL once Ray Lewis leaves the sport he loves behind. They have the intangibles on their side – Ray Lewis’ emotional final season in Baltimore has lifted the performance of this whole team. 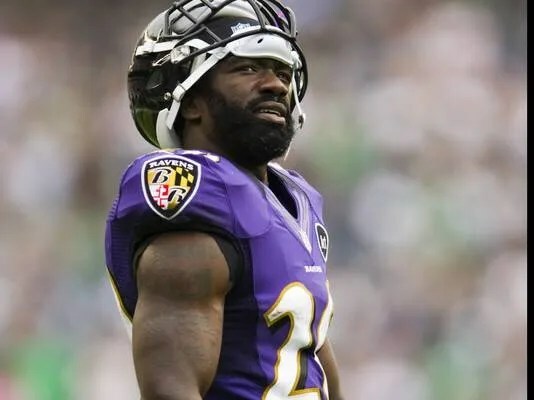 This could be Ed Reed’s final year too. Joe Flacco will stay, still keeping them at high level, but these Hall of Fame defenders that are on their D have this game, and that’s it. Like Eminem said in Lose Yourself, “you only get one shot, do not miss your chance”. Furthermore, I think they already had that “mark of a champion” moment against Denver. Two special teams TDs given up, but they weathered the storm, and had a spectacular play at the end of regulation with Flacco’s mile high heave. They have more momentum than a boulder rolling down a hill. You know this team believes, and they know it’s now or never. This team looks a lot like the Giants and Packers during their title runs of the last two years. On the other hand, the 49ers may not have that same sence of urgency because they will be contending for championships for the next few years. They are healthy – Getting the offensive line back in order with the return of Bryant McKinnie was paramount. Michael Oher is not a good left tackle since he is a natural right tackle and is much better at run blocking than pass blocking. This also allowed Kelechi Osemele to move back to guard, his natural position. Of course on defense, getting Ray Ray back has made a world of difference, as we all knew it would. This could be the advantage over the 49ers, who have both their Smiths banged up (Justin with his triceps and Aldon with his shoulder – but I can’t imagine either of them not playing). Bazooka Joe is on fire right now – He has not thrown an interception this postseason, while tossing 8 TDs. If he continues to not turn the ball over in the Super Bowl, the Ravens will have a very good shot at winning. They have a distinct advantage in the kicking game – Justin Tucker only missed three FGs all season. David Akers has missed fourteen, including one last week. If this game comes down to a kick, it clearly favors Baltimore. Taking after their head coach, this team is as composed as any team I have ever seen – opening drive pick six against Green Bay? No problem. Down 17-0 in the Georgia Dome to the best team in the NFC? No problem. Colin Kaepernick has shown an incredible amount of confidence all year and has played almost flawlessly in the playoffs. They can impose their will on other team’s defenses – ordinarily teams would freak out and throw the ball every play down 17. Not this Harbaugh team. Their bread and butter is mashing their opponents up front, and they did just that and climbed back into the game. Frank Gore and LaMichael James are one of the best thunder-lightning combinations I’ve seen in a while, comparable with the Fred Taylor and MJD combo for the Jaguars back in 2007. After those two, you have to worry about Kaepernick. Mobile QBs have had some success against Baltimore. Andrew Luck had an 18 yard run against them in the Wild Card round and RG3 averaged almost five yards per carry against them in the regular season. Of course, the Ravens are much stingier up front than the Packers or Falcons. Winning at the point of attack is paramount for the 49ers because then they can use some of their creative offensive plays. Jim Harbaugh is one of the best at making in-game adjustments – They looked hopelessly lost in the first quarter against Matt Ryan and the dynamic passing attack of the Falcons. Harbaugh then made adjustments in the second half, got pressure on Matt Ryan and kept the receivers from making big plays like they did in the first half. Smith, Boldin and Pitta are not the game breakers they faced last week – make no mistake, these guys are no slouches, but they aren’t Julio Jones, Roddy White and Tony Gonzalez. I think the 49ers secondary will play closer to the standard we have come to expect from them. But the DL also has to get pressure on Flacco, because Flacco can make the throws if he gets time. But last week, the Falcons receivers easily won their matchups almost every time in the first half. That will not happen again. Ravens = Ray Rice. He ran the ball very effectively against the Broncos, who are not as stout up front, for 131 yards on 30 carries. He also averaged 4.5 yards per carry in limited duty against the Colts due to fumbles. He needs to avoid putting the ball on the ground, be a productive runner and be a threat out of the backfield for the Ravens to pull out this victory. But running against the 49ers front line is tough sledding. Ask the Falcons, who ran very effectively against the Seahawks. Rice in the postseason has 4 catches for 69 yards in the postseason, with one of them being a 47 yarder against the Colts. However the Ravens plan to use him against the 49ers, he must be effective. Flacco can’t win this by himself. 49ers = Dashon Goldson. I just have a feeling that he will make a play one way or another that will decide the outcome of this game. My guess is he will give a lot of help over the top on Torrey Smith to Carlos Rogers. He needs to avoid channelling his inner Rahim Moore and allowing either of the Ravens’ speedy receivers, Jones or Smith, to get open deep. Obviously Flacco can get them the ball with that rocket of an arm. On the flip side, he could have a crucial pass breakup or interception that swings momentum in favor of his 49ers. Goldson can be the one to turn Flacco’s tendency to chunk the ball downfield into the 49er’s favor. Conclusion: I wish both teams could win. Both have had “statement” playoff wins thus far. Both deserve it. Maybe it’ll go into four overtimes and then Goodell will just say “enough” and pronounce them co-champions… not. Last season, I was 100 percent sure the Giants would win. Never wavered one bit. This year, not so much. I’m almost 50-50 on this game. Truly the smallest of factors will decide this game. I think at the forefront of those deciding factors is penalties. Ironically, these two teams are among the most heavily penalized in the league. 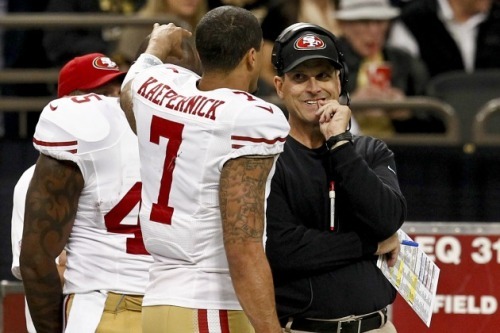 I think the two week layoff favors the 49ers. The Ravens are jacked up right now, and I think they would be better served getting back on the football field this Sunday. But that is not the case. I think some of their momentum will be taken away. While Flacco has received praise for his playoff performance that he rightfully has deserved, he has not been incredibly accurate during the playoffs. He has completed just 51 of 93 passes, for a completion percentage under 55. He will have to string a lot of completions together on multiple drives to put his team in a position to win. Against arguably the best defense in the league, and one of the best since the 2000 Ravens, I’m not sure I see that happening. go. But Colin Kaepernick shows once and for all why Harbaugh drafted him so highly, throwing a touchdown pass to Randy Moss (who will be the 49ers secret weapon in this game) to give the 49ers a 24-19 lead with just over four minutes remaining. Flacco has one last chance to lead the Ravens back, but the 49ers D puts them away, just as they have put teams away all season to preserve the gritty five-point win. It should be noted: In 2010, I picked Green Bay over Philadelphia, then picked against them the rest of the playoffs. I picked Baltimore in the Wild Card round, picked against them the last two weeks. They say history repeats itself. We shall see if it does this time. The 2012 NFL season brings with it something that has never happened before. Five rookies – Andrew Luck (Colts), Robert Griffin III (Redskins), Ryan Tannehill (Dolphins), Brandon Weeden (Browns) and Russell Wilson (Seahawks) – will all start in Week 1. That is easily an NFL record. Everybody saw it coming, and it finally happened. Andrew Luck became an Indianapolis Colt. Robert Griffin III became a Washington Redskin. What everybody didn’t see coming was eight trades involving 12 teams. Without the big burden of rookie contracts, teams weren’t afraid to make trades in order to move up. 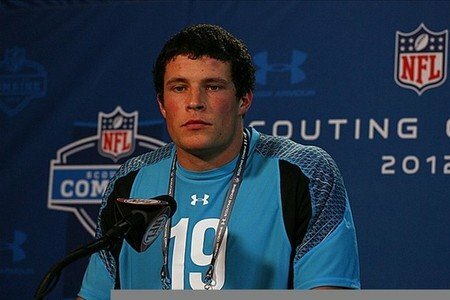 After Luck and Griffin were drafted, the next scheduled team to draft was the Miami Dolphins at No. 8. It was a first round inundated with trades and big-time names. Best Pick (outside of Luck and Griffin): The Cleveland Browns selecting Trent Richardson at No. 3. Cleveland has been an abysmal team for too long now. In fact, they have won a total of 18 games the past four seasons and gone to a single playoff game during the past 14 seasons. Colt McCoy was supposed to fix this problem, but he hasn’t had enough help on the ground (or through the air). By taking Richardson, the city of Cleveland receives something that Washington also got in Griffin: a face. The Browns now have a face for their franchise that will be a major factor in their offense. He will get the ball and he will be expected to produce. Unfortunately, he will have to go against the likes of the Pittsburgh Steelers and the Baltimore Ravens multiple times a year. Even with he will have these difficult front lines to overcome, Richardson provides the Browns with the first step towards relevancy. 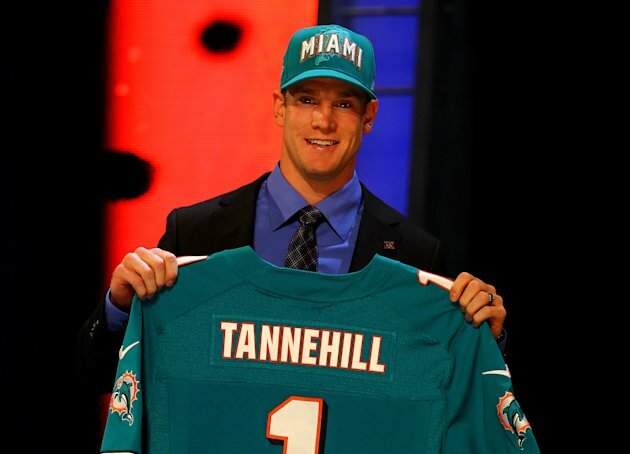 Worst Pick: The Miami Dolphins selecting Ryan Tannehill at No. 8. This has disappointment written all over it. The Dolphins plan to instantly implement the fifth best quarterback coming out of the Big 12 into their offense. This couldn’t be worse for Tannehill, and it is only setting him up for failure. Look at Blaine Gabbert. The Mizzou graduate has great quarterback skills but doesn’t have the necessary skillset to be a starting NFL quarterback. The oddly managed Jacksonville Jaguars decided to throw him into a starting position, and his development took a hit because of it. Tannehill has the potential and build to be a great leader of an offense, but he is in no way ready for that type of role. He has big expectations in a town used to watching Dan Marino throw bombs, and the rookie will be unable to live up to his excitement. Most Unexpected Pick: The Seattle Seahawks selecting Bruce Irvin at No. 15. Wow, this one took the nation for a ride. Mel Kiper himself did not come close to seeing this one happen. Irvin will bring the Seahawks some skills best used for specific defensive packages. He knows how to do one thing: rush the passer. But he knows how to do it well. This Seahawks team likes to blitz, so he could find his way onto the field in certain situations. Will offenses be able to easily read this, though? That is up to Defensive Coordinator Casey Bradley and his staff to disguise. 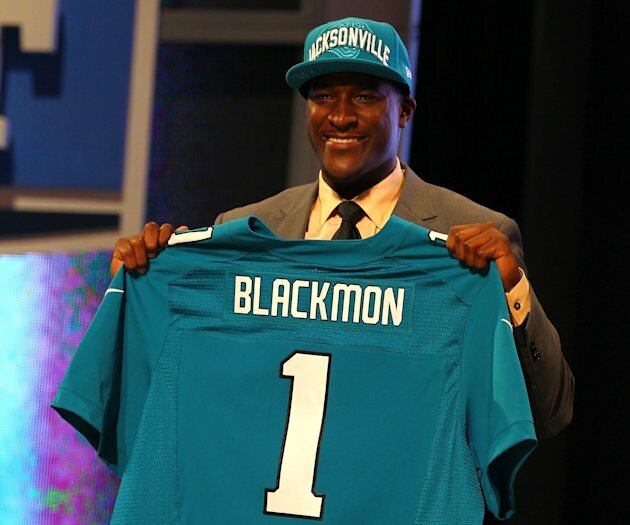 Most Instant Impact Pick: The Jacksonville Jaguars selecting Justin Blackmon at No. 5. Blackmon is a natural athlete. Even though his route-running has room to improve, his explosiveness far outshines this flaw. Blackmon has the ability to go deep with his pure speed but also catch the short passes and then make something out of it. He will come onto this Jaguars team and become the No. 1 option, and no other receiver will have anything to say about it. Last season, Marcedes Lewis lead the team in receiving yards with only 460 yards. The Jaguars did pick up Laurent Robinson from the Dallas Cowboys, but he might have more question marks than Blackmon. Gabbert now has one rushed NFL season under his belt and a wide receiver that will make him look very good. Best Move Up: The Dallas Cowboys trading picks No. 14 and No. 45 for pick No. 6. Jerry Jones has finally made it apparent that he is willing to make the moves necessary to give his team a better chance at being successful. The past four or five years have been a constant state of mediocrity for the Cowboys. With this move to pick up a cornerback in Morris Claiborne that can shutdown a wide receiver of any speed along with the free agent signing of fellow cornerback Brandon Carr, Rob Ryan finally has some legitimate defensive backs to implement into his defensive schemes. The Dallas Cowboys need to improve their horrid secondary and moving up to No. 6 has made this much more likely. Even thought the No. 118, No. 139 and No 211 picks do not sound that enticing, this Vikings front office made a great move on draft day. They simply moved one spot down and took three draft picks from the Browns practically for free. Even though these picks don’t directly translate into players that have a good chance of making an impact on the team, there is still a chance there. They have a great offensive tackle in Matt Kalil and now have three more opportunities to find a hidden gem in this year’s draft. If there was any doubt about which division will be stand at the top during next year’s NFL season, a pre-draft blockbuster trade made the answer clear. Jeff Fisher’s St. Louis Rams have already made a move – a major move. They have agreed to trade their second overall pick for three (repeat – three) Washington Redskins first round draft picks and a second round pick, according to a source close to the deal. This deal will not be able to become official until Tuesday at 3:00 p.m. CT. In this deal, one of the picks the Rams will receive comes from this year’s draft (6th) and the other two first round draft picks will come in 2013 and 2014. The second round pick will come from this year’s draft, too. The Rams made a good deal with this trade. Already having a solid starting quarterback and running back, they don’t need an Andrew Luck or a Robert Griffin. By trading away their #2 pick, they will be able to draft quality players to fill up many positions for Fisher’s new team. Fisher will have a lot to work with in his first year in St. Louis. As many expect to happen, the Indianapolis Colts will most likely take Andrew Luck with the first pick. (If not, Peyton Manning will be one upset football player.) With this drafting, the Redskins’ new pick becomes very clear. What a move for this Redskins organization. Even though they seemingly gave up way too much for this one player, I think it’s worth it. This team has been unable to establish a face for the franchise since Mark Rypien took this team to Super Bowl XXVI and won it all the way back in 1991. Since then, there have been an array of quarterbacks, coaches and big-time signings that didn’t pan out. They have ended up with a losing record in seven of their last 10 seasons, but have been just close enough to .500 to be unable to get a high lottery pick – similar to the Dallas Cowboys, in fact, without the embarrassing late-season losses. This has also played a factor in the Redskins’ inability to establish a franchise player. 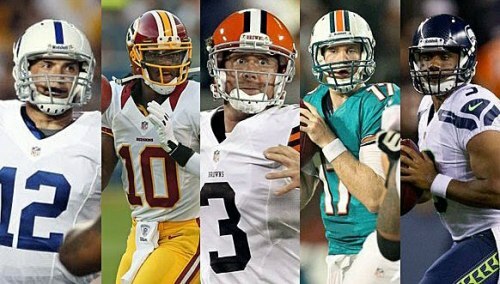 Drafting Robert Griffin III will change all of this. Jerseys will sell off the shelves. Catchphrases will instantly be created. The sports world will actually care about the team. This will not only give the Redskins revenue and national attention, but I believe a competitive season. Griffin brings more than simply highlight plays – he brings a high level of football intelligence. That’s what separates him from other quarterbacks that have had his type of strong arm and quick feet. Throw him in with any type of talent, and I have no doubt he will pick up a win or two on his own. The only problem Griffin will have going against him is that he has to play in the hardest division in the league. No doubt. The Giants will obviously be dangerous coming off their championship. As long as Eli Manning is under the helm during the fourth quarter of any game, that team can’t be counted out. Even though the Cowboys have been a hard team to figure out, with Tony Romo, Dez Bryant, and DeMarco Murray on the field at the same time, anything can happen with that team – for bad or for worse. Starting off to a slow start to the 2011 season, the Eagles finished off their season strong, winning their final four games. I have a gut feeling that this is the year for that squad to break out and have a dominant season. With all of this competition in the NFC East, Griffin needs to remain patient when he arrives in Washington. He could possibly provide his new team with a winning season, but I’m skeptical with these three teams he will be facing two times each. No matter whether or not the Redskins win more than eight games this year, they will finally have a player to represent their team. They will finally have a player to help them compete. They will finally have a player to make the SportCenter Top Ten. They will finally have a player to bring energy to FedEx Field.